That day, the British executed a complete and expensive bombing operation against the Argentine Port. The Vulcan XM607 aircraft, belonging to the 101 Squadron of the Royal British Air Force (RAF), had travelled the 5,600 km separating Ascension Island from the Falklands in 15 hours – it was refuelled in flight 17 times – and at 04.42 it launched on the airport peninsula 21 bombs of a thousand pounds each. The bombs wreaked havoc on the ground and in the facilities, but the runway remained operational throughout the conflict. That operation was the most important after the Second World War. At dawn and on our positions south of Puerto Argentino another British attack was repeated. On that occasion, they used five Sea Harrier fighter-bombers that operated from two aircraft carriers. They used cannons, missiles and 250-pound bombs. The anti-aircraft fire itself knocked down three of them. Hours later there were actions involving Mirage own aircraft. The adversary also executed similar minor actions in the Darwin-Pradera del Goso sector. In the evening hours of the same day, our position in the sector of Puerto Argentino was subjected to intense naval fire. Thus the air and maritime encirclement were materialized. It was one of the two longest days of the conflict, the baptism of fire by the anti-aircraft artillery of the Army and the Argentine Air Force. 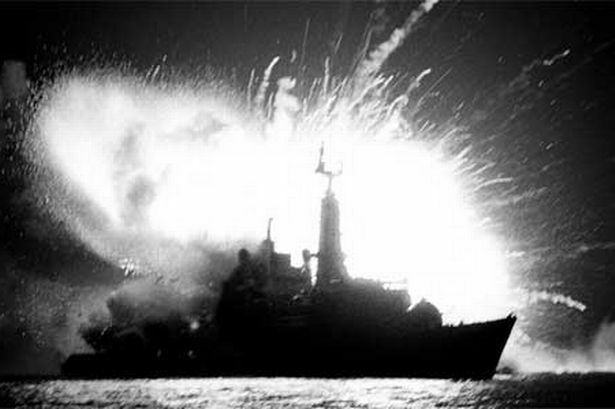 The Malvinas was a great little war and the first of the missile era. The recovery of the irredentist islands, unquestionably Argentine, on April 2, through Operation Rosario , could have been exploited in compliance with Resolution 502 of the United Nations Security Council the following day, on April 3, which provided for the withdrawal of the military forces, which could be replaced by small numbers of our security forces. It was not a totally negative decision since it had managed to attract international attention and could have been negotiated trying to optimize revenues. By continuing with the occupation we would be considered as aggressors, as in reality, it happened. From the touch and go, that is, to occupy to negotiate, he went to “I stay and go to war”, substantial difference and maximum senselessness to discard the possible looking for the unattainable. The inept political and diplomatic leadership ignored that the planning of a conflict cannot be done from one day to the next. Nor, that the best time to negotiate is one in which the adversaries still believe in an undefined situation. Had it proceeded as indicated, the United Kingdom would hardly have had significant international support and managed to mobilize the most important expeditionary force since the Second World War (it had 28,000 men, more than a hundred vessels and some nuclear submarines). The attempt to recover the islands by force constituted the most notable error of political and military appreciation. Admiral Jorge Anaya was credited with having been the one who conceived the absurd adventure. For this, he had the acquiescence of General Leopoldo Galtieri, Brigadier Basilio Lami Dozo, Chancellor Nicanor Costa Méndez and an entourage of incapable sycophants, with the exceptions of the case. The appropriation of a just, heartfelt national and ancient root cause, such as the Malvinas, sought to galvanize the citizenship around it and thus perpetuate the dictatorship, which inexorably collapsed. Only the ineptness and the imbalance of the military leadership could so wrongly appreciate the future of the events. It had the ability to recover the islands, defended by a small detachment of British marines of the order of one hundred men and a group of islanders volunteers equipped with light weapons, but lacked the ability to keep them before the expected reaction of a member of the North Atlantic Treaty Organization (NATO), second-order nuclear power and privileged ally of the United States. We Argentines, we were away from professionalism since 1955, we supported a serious socio-economic and political crisis, and the national government was subjected to harsh criticism by the major countries of the world for violation of human rights. Galtieri, who thought himself “the Julius Caesar of the pampas,” was giving orders from the continent; orders opposed to the most basic strategic and tactical conception, orders that were accepted by General Mario B. Menéndez, who during all the operations did not even behave like a supporting actor. In this way, a weak perimeter defence (50 km) was established in Puerto Argentino, without depth, lacking a minimum mobility, without reserves or counter-planned and anarchically driven. In addition, the logistical support, the operation of the units and the morale of the troops were unbalanced. One of those orders imposed a notorious dispersion of efforts: of the nine infantry regiments (RI), only four participated in the battles effectively (RI 4, RI 7, RI 12 and the Marine Infantry Battalion 5), partially two (RI 6 and RI 25), and three of them did not participate in the actions (RI 3, RI 5 and RI 8). Strategic intelligence, national and military, was conspicuous by its absence, and counterintelligence, which is the action that consists in denying information to the adversary, was neglected. As for the Joint Chiefs of Staff, it showed, both before and during operations, that it was a bureaucratic and inoperative organism. The generals Menéndez and Oscar Jofré, influenced by erroneous naval advice, did not give real importance to the strategic area of San Carlos for the British to form a “beachhead”, even though an islander had warned that it was the site most suitable for the landing, which occurred on May 21. The conflict had two phases: the first, predominantly naval, between May 1 and 20; and the second, predominantly land, between May 21 and June 14. During the naval air phase, our forces on the ground were subjected to psychophysical wear in the humid and cold trenches, waiting for the British landing. We initiate the terrestrial phase conscious of our own limitations, of having totally given the initiative to the enemy and of the impossibility of receiving support from the continent. Our combat power was eliminated by parts : first, our surface fleet, which self-identified itself from the conflict without even attempting to dispute the maritime space; second, the Air Force and Naval Aviation, due to the significant losses suffered, despite the acknowledged initial successes and the excellent professionalism evidenced; finally, the ground troops of the Army and the Marine Corps, when the earthquake finally closed the foreseeable total siege that led to the inevitable surrender. A distorted expression of the national being, successist and defeatist by antonomasia, did not initially rescue in its just measure the behaviour of those who fought for a feeling, but the British did. In addition, the well-known Rattenbach report states: “It is important to point out that there were units that were conducted with efficiency, value and decision, in those cases, whether in the waiting, in the combat or in their breaks, the performance was always high. case, for example, of the South Air Force, Naval Aviation, the aerial means of the three forces on the islands, the Air Transport Command, the Army Artillery (Artillery Groups 3 and 4) and the Marine Infantry the Antiaircraft Artillery of the three Armed Forces, correctly and efficiently integrated, as well as the Marine Infantry Battalion 5, the Armored Cavalry Squadron 10, the Commando Companies 601 and 602 and the Infantry Regiment 25. As it has always happened in critical circumstances, the behaviour of the troops in combat was a direct function of the quality of their commands “. The Argentine Republic will never resort to violence again, much less to its extreme expression: war. This is one of the most tragic acts in the lives of peoples and, unfortunately, also one of the most frequent ways in which disputes have been resolved in history. It is dialogue, respect and a vocation for peace that must be placed in the hearts of human beings. 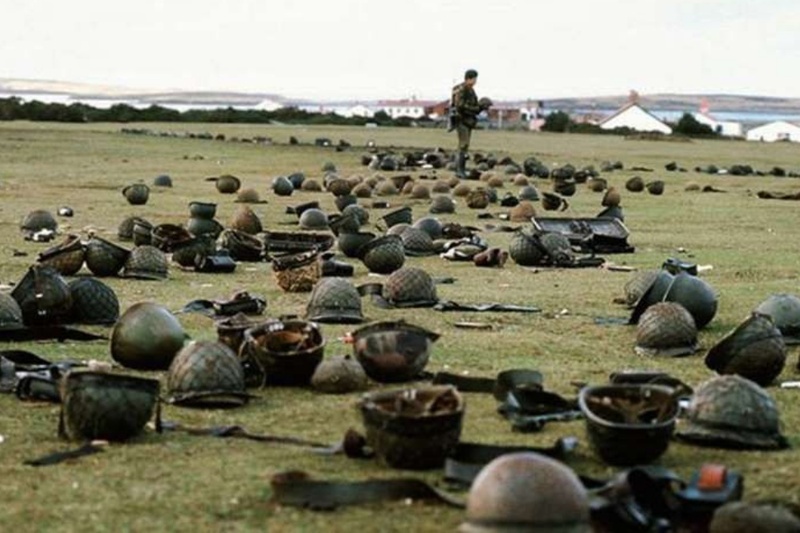 All the Malvinas dead, Argentine and British, continue to live not only in the island’s peat and in the southern sea, but also where true humanity maintains its high value. The author is a former head of the Argentine Army, a veteran of the Malvinas war and former ambassador to Colombia and Costa Rica.